December is upon us. It’s the time of the year when we will soon decide (again) to save more money, eat more veggies and join a gym to lose that 5kg we gained over the festive season. If your new year’s resolution is to finally save enough money for a Round-The-World trip, or just about anything, then we hope these ideas come in handy. 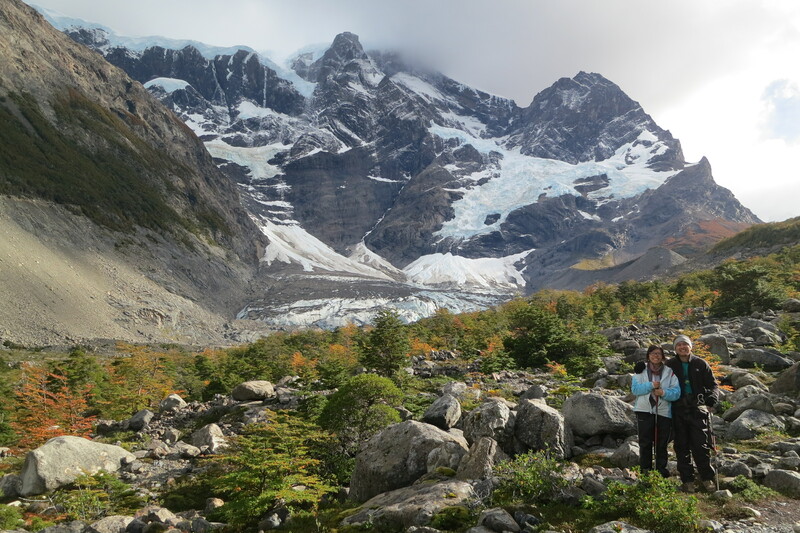 Joyce and Reuben hiking in the Patagonian mountains in South America. We’ve been travelling for 10 months now and have had a couple of people ask us about how we managed to get the money to go a one year trip around the world. In truth, it is both a combination of learning to save and doing high value work to earn some extra income (and no, by high value work I don’t mean join a scam MLM scheme like World Ventures). With rising costs in Singapore and our national youth pastime of visiting fancy cafes, shopping or watching movies, it takes determination to get there, but nothing worth doing is ever easy – so here are some tips that helped us save the $25K that we needed to make the trip a reality. You will find that with urgency comes great motivation. Without a goal or deadline to work towards, it is incredibly hard to set your mind to do whatever you want it to do. When we first sat down and seriously researched the cost of how much we would need, I knew I couldn’t quit my job immediately. We set a tentative date to leave in March 2014 and in the following months, I was hugely motivated to save as much as I could. Suddenly a $5 cup of Starbucks coffee just seemed too ridiculous (unless someone else was paying) when I could buy coffee at the nearby hawker centre for $1.20, or better yet, use my company’s coffee machine to get a free dose of caffeine. So yes, set yourself a realistic date of departure that would give you adequate time to save and plan for your trip, and if you reach your goal earlier – hooray! 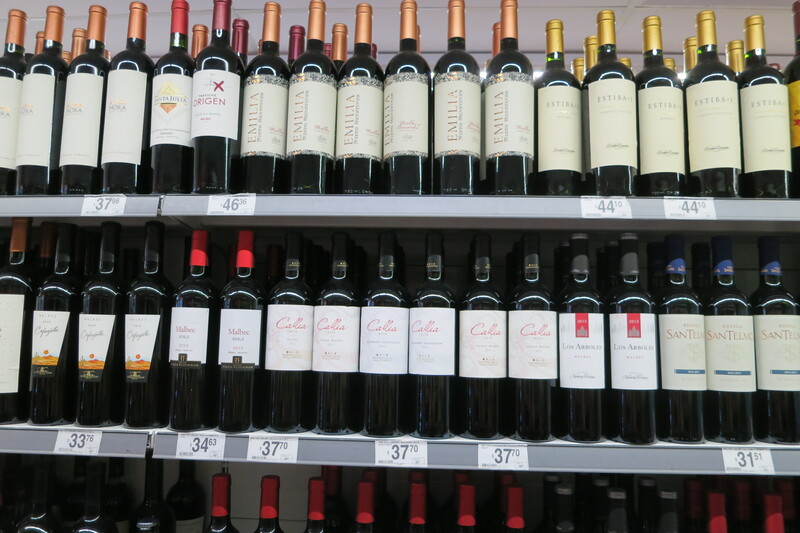 Rows of red wine in a supermarket in Argentina. Want to spend $5 on your next cup of Starbucks? Why not save it for a bottle of Argentinian Malbec at less than $5 when you’re there? Right, where was I? Oh yes, about the fancy cafes and new shoes from Aldo. Give it up guys (or girls). It’s all about priorities when you want to save for a big trip. You might think that its just $5, but that $5 could mean the next meal, or in some cases, another night’s accommodation in China or in South America. Also, why the hell would you need fancy dresses and Aldo shoes when you’re backpacking? I’m not saying that you have to kill all your indulgences immediately, but its important to realise that you have to choose what matters more. An extra day to experience the world, or the smell of overpriced coffee? If there are some things that you can’t let go of, then set a mental limit to how many times you will allow yourself that indulgence. For example, Reuben’s love for movies is something he can never give up. But because he never goes shopping and only spends about $800sgd a month, he allows himself the pleasure of watching a movie at the cinema every other week. And that’s ok! It’s better to allow some tiny allowances than to binge after a marathon of saving. Hainanese Chicken Rice. Taken by Terence Ong in March 2006, modified by Vsion. Chances are, you’re going to miss Chicken Rice and Bar Chor Mee once you head out of Singapore, so while you still can, eat all you want! If you can go one step further, try to cook meals at home and pack them to work. Its not only healthier, but you’d be surprised at how handy these cooking skills are once you’re on the road and need to know how to whip up a quick meal or two. Don’t know how? Try NoobCook.com for Asian recipes. Ah yes, who do you even go to fancy cafes with in the first place? It turns out that we are more susceptible to peer influence than we thought. If you need to be more budget conscious and suggest cheaper places to eat at, then perhaps informing your friends of your situation would help them become more sympathetic instead of thinking you a wet blanket. Tip – when you tell your friends or colleagues that you’re leaving, chances are they’ll buy you a nice gift to accompany you on your trip. Tell them what you need exactly so you don’t need to spend on it too! One lesson I learnt in User Experience Design class at NUS is that feedback is important for users. You need to know your progress and learn how to track it. There is no lack of budget tracking apps out there, so download them and start from today. If you’re bitten by the lazy bug like me, then try to at least give a rough number each day. 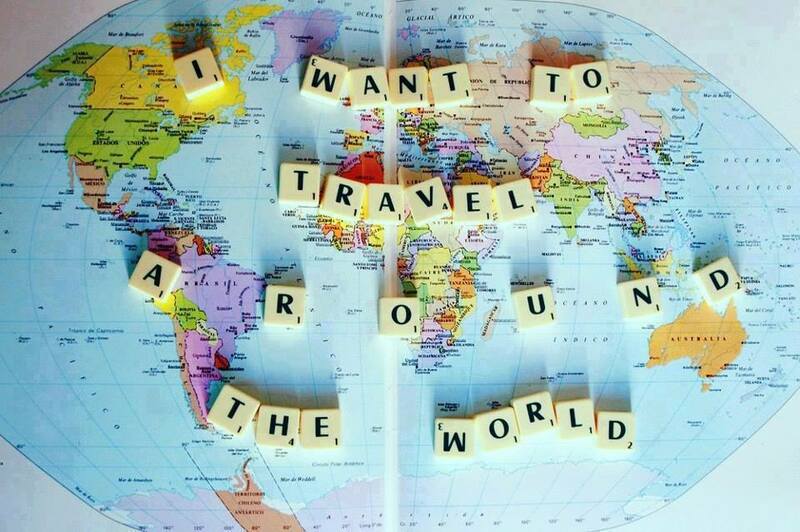 You’d be surprised at how much small things add up and how far or close you are to your RTW goal. 6. Set aside the amount you want to save immediately after you get your salary. Do not trust yourself. There are two ‘yous’. The first you wants to take your salary and splurge it immediately on a new dress, iPhone or a grand meal at the latest restaurant in town. The other, more rational you, wants to save. We somehow inevitably get tempted and later regret not choosing the latter. To avoid the pain of buyers remorse, I highly suggest not trusting yourself in the first place and put money aside immediate after getting your salary. Some banks have an auto transfer service that helps you deposit a part of your salary into your saving account automagically each month. For DBS account holders, you can try applying for it at M-Savings. 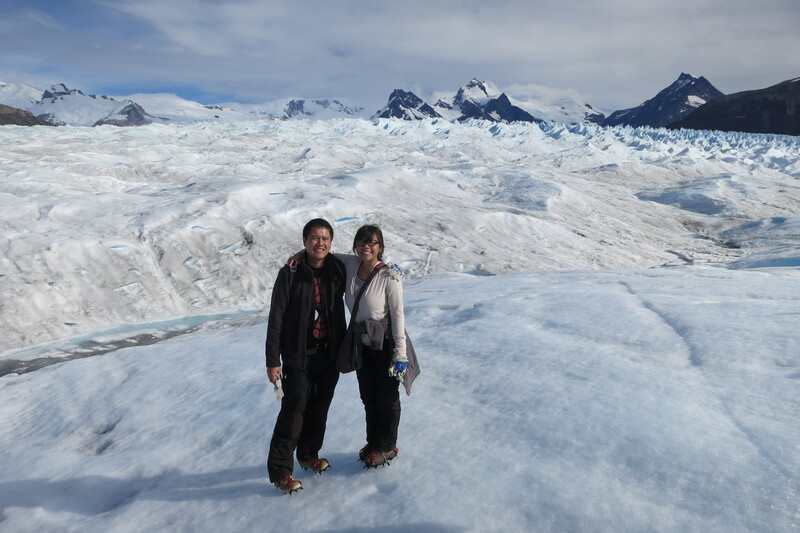 Us hiking Big Ice in the Perito Moreno National Park in Argentina. It took me about a year to save the money needed for the trip and a big majority of that came towards the last 6 months of saving. I know you can do this too if you really put your heart into it. If you have other tips on how to save money, do leave a comment! 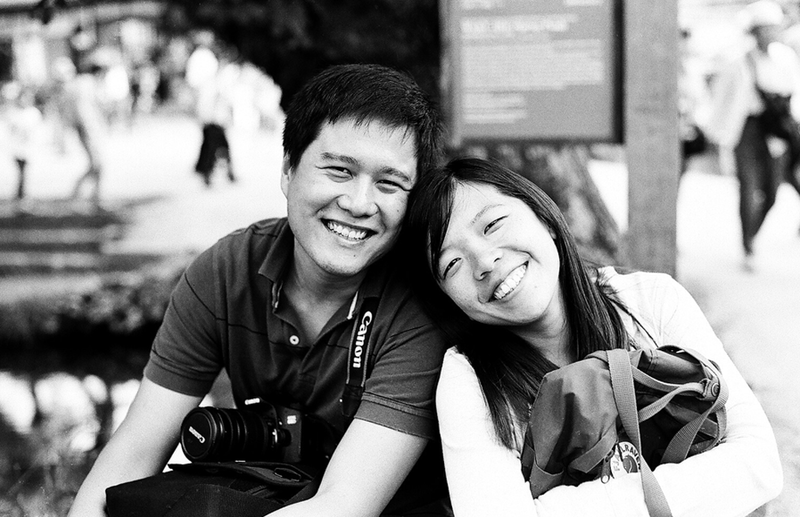 Joyce is one half of two Singaporeans venturing on a year long trip. In March 2014 Reuben (left) and Joyce (right) left their jobs to travel around the world, beginning their epic journey across Argentina, Chile, Peru, Bolivia, Germany, Austria, Hungary, Italy, Greece, Georgia, Turkey, Nepal, China, Taiwan, Japan and Vietnam.